It's quite distressing if you discover that you have lost your keys or have left your keys locked in your car. Depending on where you are and what time of the day it is or how bad the weather condition is, it can turn out to be a disturbing or frightening situation. 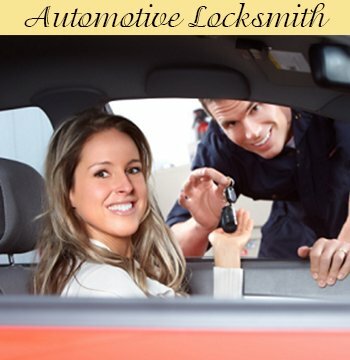 That's why, we at Town Center Locksmith Shop, believe that resolving automotive lockouts is of the highest importance and have a team of certified locksmiths working around the clock, throughout the year. Whenever you’re faced with an unpleasant automotive situation such as a lockout, or have lost your ignition keys, we will answer your call and will reach out to you at once to put an end to your woes. Town Center Locksmith Shop doesn’t just hire anyone but verifies if they have the requisite skill and qualification for the job. All our professional technicians undergo extensive training which makes them adept at solving any type of automotive locksmith issue. We are equipped with the latest technology and locksmithing tools, which enables us to quickly make new keys for both newer and older model vehicles on site and develop high security laser cut and transponder keys with ease. We also operate mobile locksmith units throughout the Riverside, CA area which enables our team to offer speedy response for customers who have problems with their car’s door locks or are facing vehicle entry issues. For over a decade, Town Center Locksmith Shop has served the Riverside, CA area by providing top-class, cost-effective locksmith services. Our certified auto locksmiths will unlock your vehicle, and if necessary, can rekey your locks or install new locks as well. If you have any other issues related to your car’s ignition, our auto locksmiths will take care of those too! Be it an emergency lockout situation or simple key replication, Town Center Locksmith Shop’s team does everything it takes to get you safely in your vehicle and on your way. Locked out of your car? Don’t worry! 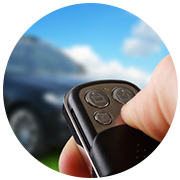 Our locksmiths can restore your access to your vehicle and quickly provide a functional set of keys. Having trouble with your car’s ignition? You don’t have to look for a dealer to fix it for you, let our auto locksmith team handle it. No matter what trouble you’re in and no matter how trivial the locksmith service you require of us is, our certified locksmiths handle each issue with dedication and complete the assigned task with perfection. We are famed for our affordable locksmith services, and can resolve all your issues at a much lower cost than a dealer. That's one more reason to make Town Center Locksmith Shop your first choice when it comes to fulfilling your automotive locksmith needs.